This Indesit washer dryer is perfect if your looking for a feature rich appliance. Finished in black, not only is this appliance stylish but modern too. 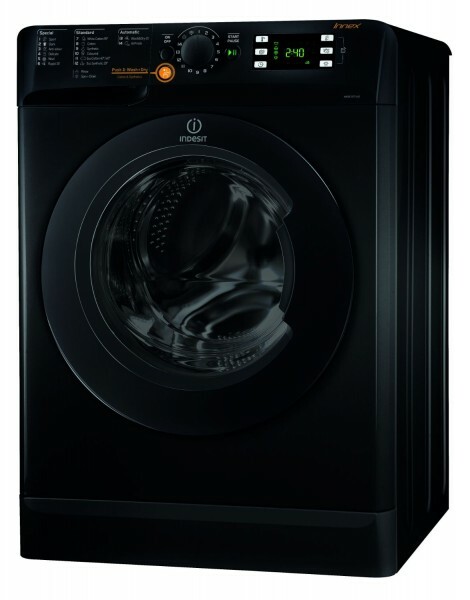 Features include; Push & Wash & Dry Technology - Just press one button to wash & dry straight through. Water Balance Technology - The machine uses just the right amount of water it needs, whatever the size of load, so you save water, energy and money on your utility bills. Variable Temperature & Variable Spin - You can lower the pre-set temperature and the spin speed on most of your favourite programmes – that means less creasing, less ironing and less wasted energy. Golden Woolmark. A controllable Delay Timer.